An Old fashioned way of carrieing your cloths and gear! 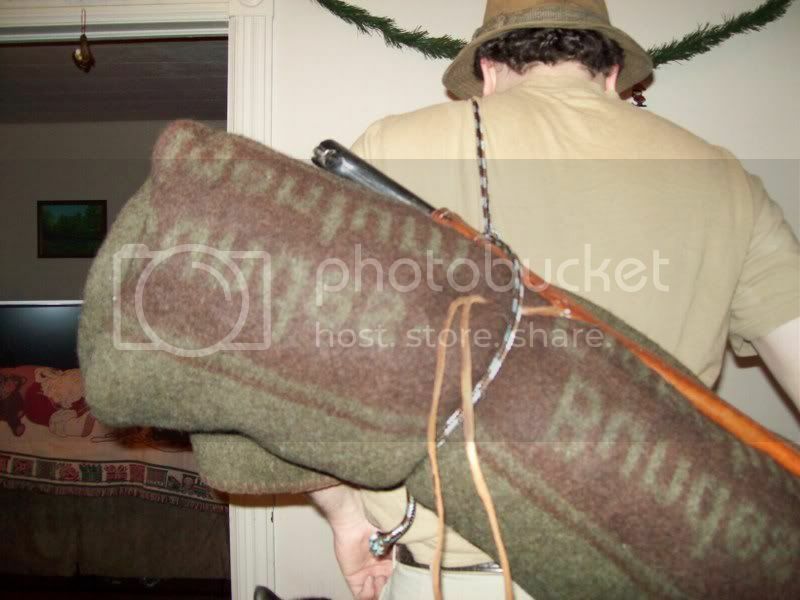 The Bedroll , or blanket Roll is by far one of the oldest ways people carry their belongings into the field. 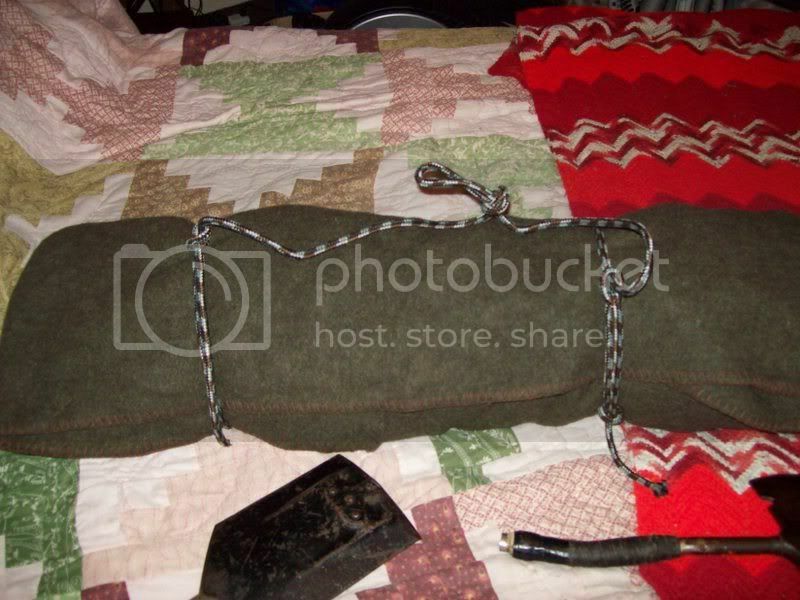 And all you need to begin using this system is a blanket, some rope and about 5 mins . Outdoor gear to put in the roll! 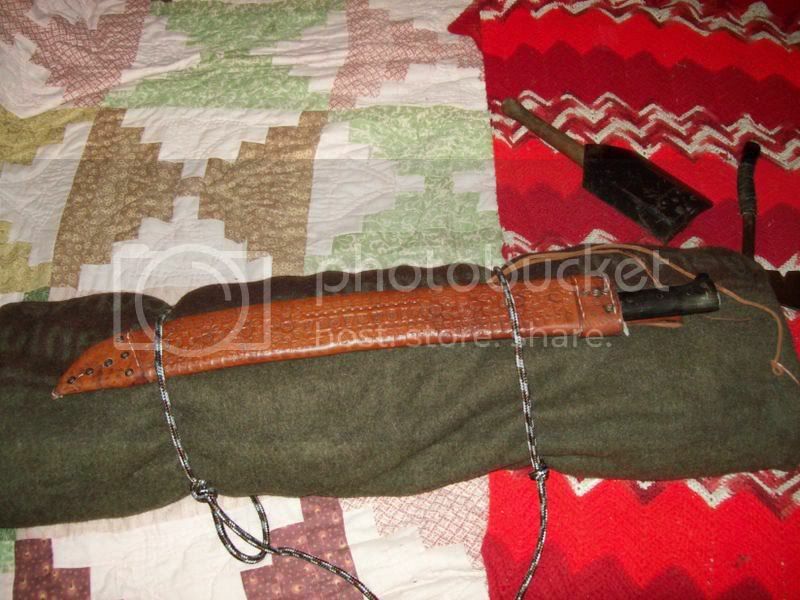 You start out by laying out the blanket and placing the gear you want to carry , evenly spaced across the blanket lengthwise. This contains your gear and keeps it from comming out the sides, it also makes the roll more compact. From there you tie a length of rope to an end. It helps if the knot you use tightens when pulled. When you have finished your knot, using the same length of rope, bring it over as a shoulder strap and tie it onto the other end. Reduce your shoulder strap length by adding a loop. This loop also acts as a way to secure gear on the move and acts as a hanging strap when you stop to rest. 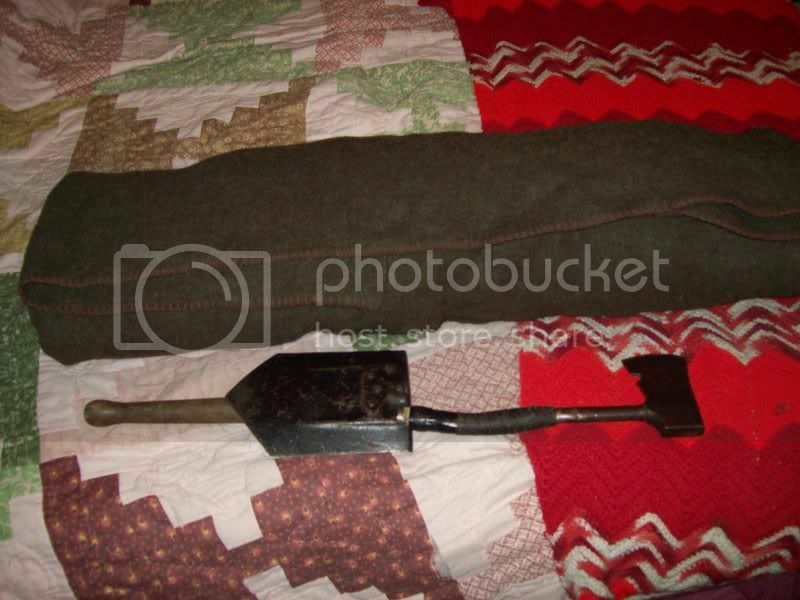 This keeps your blanket off the ground. There are some ways to make this outfit more comfortable to carry as the rope can dig into you. 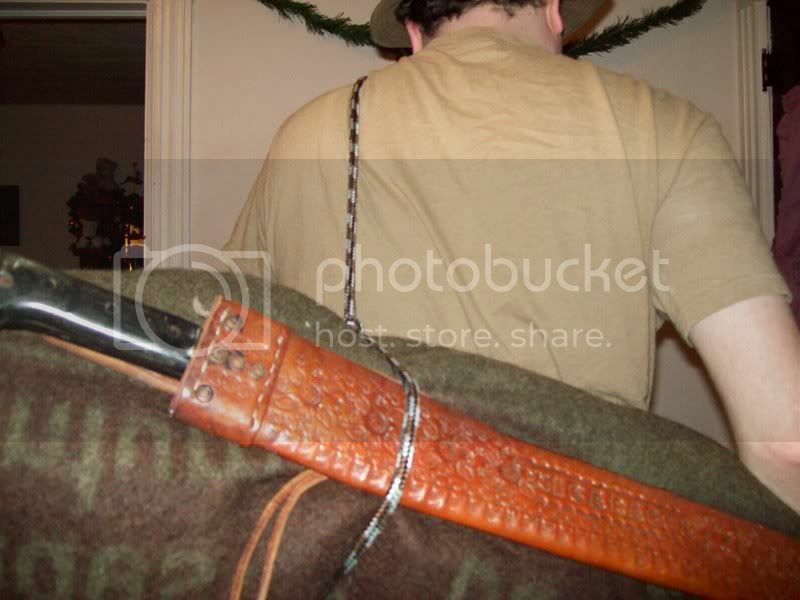 One option is to wrap and tie a towel to the rope and use that to pad your shoulder. 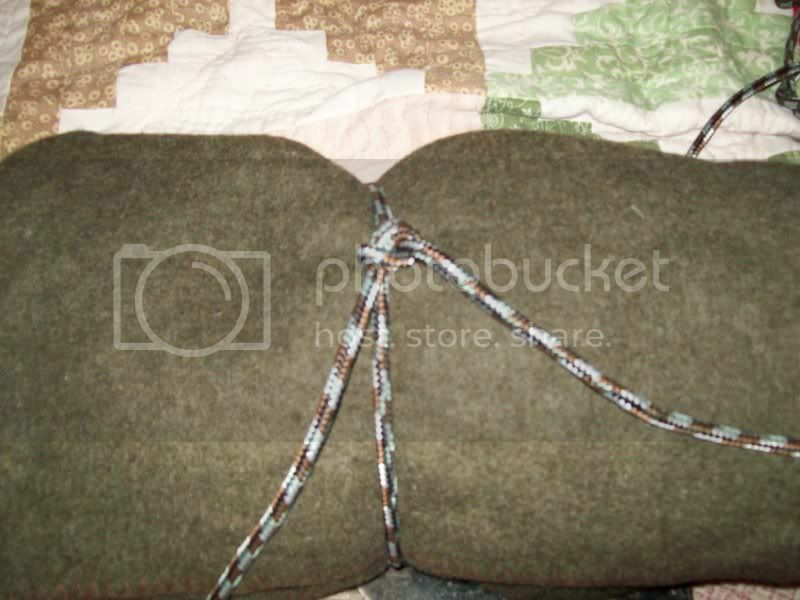 Another option is to tie the bedroll with belts and lace a long, wide one through the tie-belts and the wider strap will feel better than the rope. 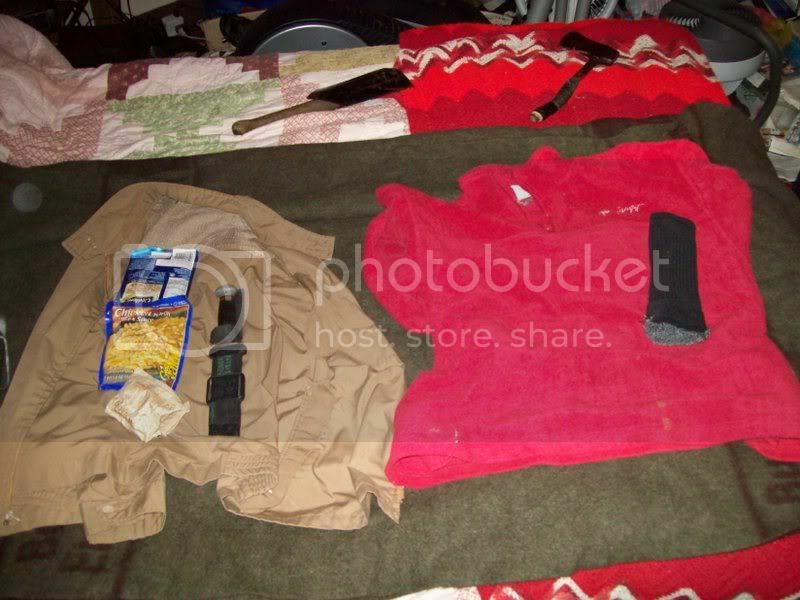 This can be further enhanced by a quick trip to the auto parts store and get a slip on seat belt pad to cover the belt and add padding to your shoulder. Most of these are made to attach with Velcro. 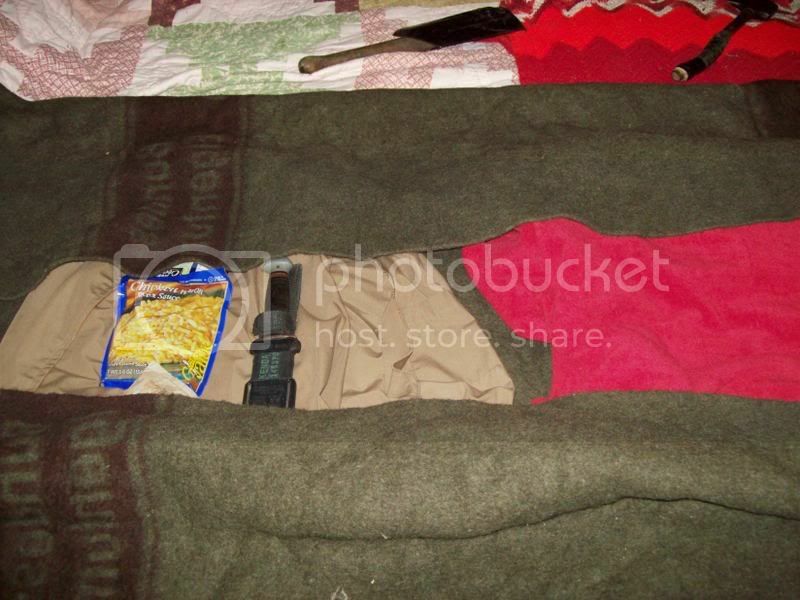 Wrap your shelter material around the outside of the blanket roll to protect it from the weather, then tie it togeather.